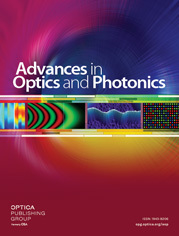 The nature of light, extending from the optical to the x-ray regime, is reviewed from a diffraction point of view by comparing field-based statistical optics and photon-based quantum optics approaches. The topic is introduced by comparing historical diffraction concepts based on wave interference, Dirac’s notion of photon self-interference, Feynman’s interference of space–time photon probability amplitudes, and Glauber’s formulation of coherence functions based on photon detection. The concepts are elucidated by a review of how the semiclassical combination of the disparate photon and wave concepts have been used to describe light creation, diffraction, and detection. The origin of the fundamental diffraction limit is then discussed in both wave and photon pictures. By use of Feynman’s concept of probability amplitudes associated with independent photons, we show that quantum electrodynamics, the complete theory of light, reduces in lowest order to the conventional wave formalism of diffraction. As an introduction to multi-photon effects, we then review fundamental one- and two-photon experiments and detection schemes, in particular the seminal Hanbury Brown–Twiss experiment. The formal discourse of the paper starts with a treatment of first-order coherence theory. In first order, the statistical optics and quantum optics formulations of coherence are shown to be equivalent. This is elucidated by a discussion of Zernike’s powerful theorem of partial coherence propagation, a cornerstone of statistical optics, followed by its quantum derivation based on the interference of single-photon probability amplitudes. The treatment is then extended to second-order coherence theory, where the equivalence of wave and particle descriptions is shown to break down. This is illustrated by considering two photons whose space–time probability amplitudes are correlated through nonlinear birth processes, resulting in entanglement or cloning. In both cases, the two-photon diffraction patterns are shown to exhibit resolution below the conventional diffraction limit, defined by the one-photon diffraction patterns. The origin of the reduction is shown to arise from the interference of two-photon probability amplitudes. By comparing first- and second-order diffraction, it is shown that the conventional first-order concept of partial coherence with its limits of chaoticity and first-order coherence has the second-order analogue of partial entanglement, with its limits corresponding to two entangled photons (“entangled biphotons”) and two cloned photons (“cloned biphotons”), the latter being second-order coherent. The concept of cloned biphotons is extended to the case of n cloned photons, resulting in a 1/n reduction of the diffraction limit. In the limit of nth-order coherence, all photons within the nth-order collective state are shown to propagate on particle like trajectories, reproducing the 0th-order ray-optics picture. These results are discussed in terms of the linearity of quantum mechanics and Heisenberg’s space–momentum uncertainty principle. A general concept of coherence based on photon density is developed that in first order is equivalent to the conventional wave-based picture.